Paul Joseph Otto Johansson was born on 26 January 1964, in Spokane, Washington USA, of Canadian descent. He is a director and actor, best known for his work on both film as well as television. He was a part of the series “One Tree Hill” as Dan Scott, but all of his efforts have helped put his net worth to where it is today. 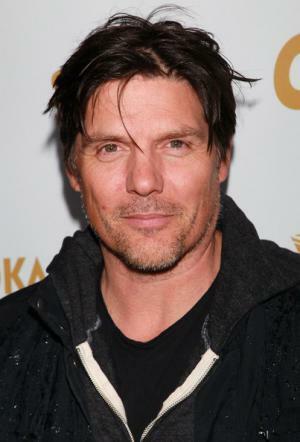 How rich is Paul Johansson? As of mid-2017, sources inform us of a net worth that is at $500,000, mostly earned through success as an actor. He appeared in the short lived spin-off “Highlander: The Raven” as Nick Wolfe, and was also the director of “Atlas Shrugged: Part I”. As he continues his career, it is expected that his wealth will also continue to increase. Paul pursued athletics at a young age, playing for both the Canadian Olympic Basketball Team and the basketball team of the University of British Columbia. After he stopped playing basketball, he transitioned to writing, which then led to his acting career. Johansson landed his first role in the soap opera “Santa Barbara”, which is about the wealthy Capwell family of Santa Barbara, California, staying in the show from 1989 to 1990 playing Greg Hughes. This would lead him to make appearances in other shows such as “Lonesome Dove”, “Parker Lewis Can’t Lose” and “Beverly Hills, 90210” which started gaining him popularity during the 1990s, and his net worth started increasing at this point. He played John Sears in the show who is a fraternity brother who tried for the affections of Kelly Taylor played by Jennie Garth. He would reprise his role in the finale of season 4. He was also given a lot of commercial work, with the most notable being a delivery man in a Diet Coke commercial. He was also given film work in “John Q”, “Alpha Dog”, and “Soapdish” which tells the backstage story of a popular fictional soap opera. In 1995, he appeared in “Days of Our Lives” in a recurring role, playing Wyatt St. Clair, the brother of the evil Jude St. Clair for one year, and would then be featured in the film “Gozu”, a Japanese horror film, appearing as a man with a cow’s head. He also had a small role in “The Notebook”, which is based on the novel of the same name by Nicholas Sparks. In 2003, Paul directed the film “The Incredible Mrs. Ritchie”, then also tried his hand at directing for television, helping make several episodes of “One Tree Hill”. Three years later, he starred in “Novel Romance” alongside Sherilyn Fenn – the romantic comedy marked Emily Skopov’s directorial debut. Johannson then appeared in the 7th season of “The Drew Carey Show” as a sportscaster. In 2011, he directed the Ayn Rand novel “Atlas Shrugged: Part I” which was the first of a proposed trilogy. The film received negative reviews. For his personal life, it is known that Paul was married to actress Gabriela Oltean, but they divorced in 2005; they have a son. His brother is comedian Pete Johannson, and his father is ice hockey player Earl Johnson. 1 He is close friends with One Tree Hill (2003) costar Bethany Joy Lenz. 2 Has a son named Quinn. 7 Became good friends with fellow Canadian Jason Priestley when both were scouted in Vancouver and brought to Los Angeles to pursue their careers in showbiz. They went on to work together in Beverly Hills, 90210 (1990), Conversations in Limbo (1998), and Dark Side (2003). 8 He is the son of professional hockey player Earl "Ching" Johnson (a member of the 1954 Stanley Cup-winning Detroit Redwings team). Earl went by Johnson when he was playing hockey, but he later changed the family name to Johansson to reflect his Swedish heritage. 9 Played with the Canadian National Basketball team touring for two years. 1986 in Korea and China and in 1987 to Israel and Greece. 10 Paul was born in the US, but raised in Canada. He has citizenship in both countries.